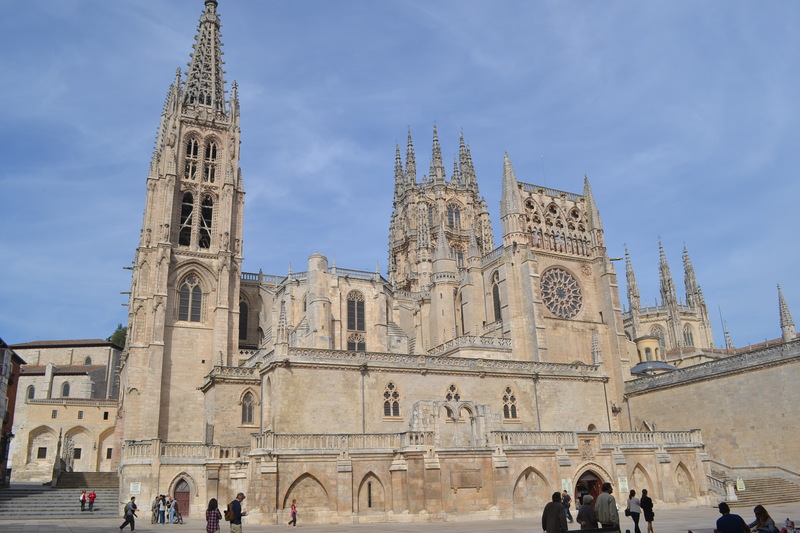 After visiting Haro Keith thought it might be nice to come and see Bourges as it was one of the main towns on the route to Santiago del Compestello … so we headed off towards it. We stopped along the way at Santa Domingo de la Calzada which is a walled town on the pilgrimage trail and unsurprisingly has a beautiful monestry and church…. I feel a bit of repetition coming on over the next few days/weeks! We got to the campsite (Fuentes Blancas – 16 euros a night all inclusive) just outside Bourges mid-afternoon and struggled to get in the entrance as there were so many people trying to get parked to go into the bar/restaurant which was part of the campsite and is right in the middle of a national park. After a bit of wiggling, we parked up and went for a walk through the park, admiring the Spanish in their Sunday attire despite the 25/26 degree heat. We then set off for a walk into Bourges itself and as the sun broke through the clouds it started to warm up and show us what a beautiful city it is. The Cathedral is gothic in its style and the detail is stunning, with certain parts looking a bit Sagrada Familiar-esque. 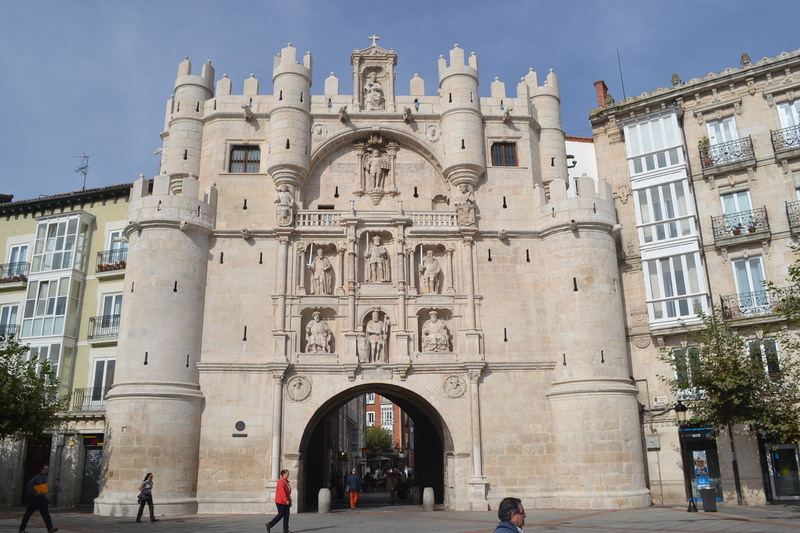 The area is situated in Castillo de Leon – just East of Vallodolid and it is between 800m and 1000m. The vines, like Rioja have a beautiful red tinge to them differentiating them from the green leaves we saw in France making them look very autumnal…if I can get a decent photo I will post it up. We had selected another small independent vineyard from the Espana Discovery book – Bodegas Vallarin – and this time we weren’t disappointed. Despite arriving during lunch time (15:30) the owner accepted us in, talked us through the wines they sold and we bought another 6 bottles (two of each of three different varieties) of varying price and level…. This is going to be an interesting tasting session! She was incredibly friendly and chuffed that we had chosen to visit their vinyard and said that we were more than welcome to stay and she also pointed us towards a trail/cycle path which stretches for 39km along the river.